Very First 2011 Corvette is a Tribute to 50th Anniversary of First Le Mans Win - In commemorating the 50th anniversary of Corvette’s first class win at Le Mans, GM built a very special one of one tribute to the 1960 Briggs Cunningham Corvette. VIN #00001 shares the same exterior cues including the twin stipes over the hood, roof and trunk and the #3. A special graphic on the B-pillar features a 50th Anniversary logo and then dates 1960 and 2010. 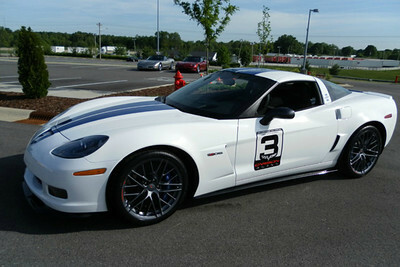 Source: http://www.corvetteblogger.com/2010/04/30/very-first-2011-corvette-is-a-tribute-to-50th-anniversary-of-first-le-mans-win/.